A traditional and often underestimated mission, learning services provision is increasingly being perceived by libraries, archives, museums and companies as an invaluable strategy to facilitate knowledge creation and innovation in the context of a knowledge-driven society. 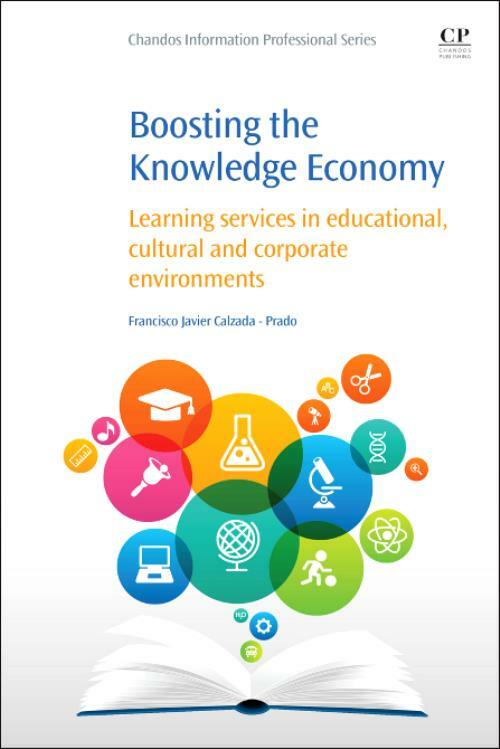 Boosting the Knowledge Economy provides a fresh look at this key area, presenting a comprehensive, international and up-to-date overview of learning services, from the basic concepts to cutting-edge practices and guidance on developing learning programs. The first chapters introduce knowledge economy and learning services. The following chapters discuss learning services in the context of different institutions, such as libraries and museums. The remaining chapters explore principles and strategies of implementing learning services, implications for the LIS profession and a conclusion. Francisco Calzada-Prado is Assistant Professor at the Library and Information Science Department, Carlos III University of Madrid. His research focuses on exploring innovative services aimed at facilitating learning and research in different environments. He is author of a book on the contribution of academic libraries to the production and exploitation of learning content in Higher Education. He has also authored and co-authored several peer-reviewed book chapters, conference papers and journal articles on related topics. He has been visiting research fellow at the Information School, Syracuse University (USA), the Center for Digital Library Research, Strathclyde University (UK), the London Knowledge Lab, Institute of Education, University of London (UK) and the School of Information, University of Washington (USA), among others.